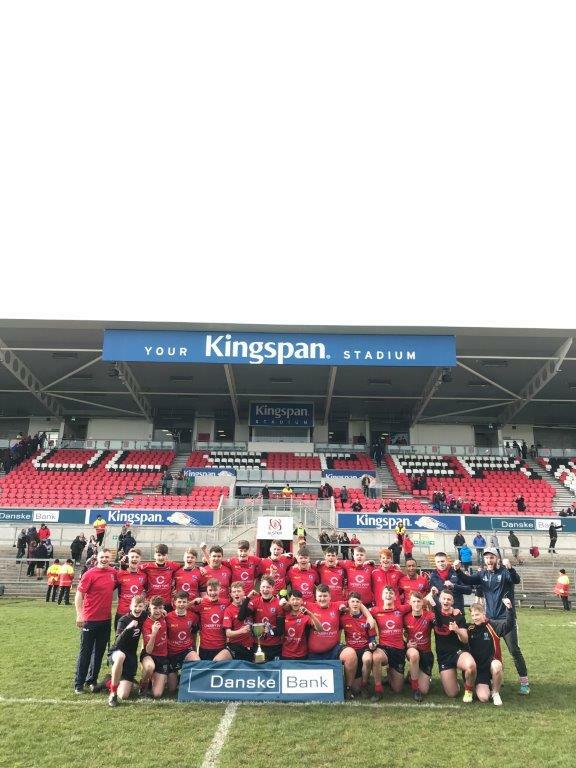 Craigavon Senior High School has secured the ‘double’ for the first time in the school’s history, notching up a resounding win against Ballyclare Secondary School in the Danske Bank Ulster U16 High Schools Trophy Final Thursday 14 March at the Kingspan Stadium, home of Ulster Rugby. The team got off to a strong start with No 8 John Glasgow powering over, off the back of a scrum, for the opening score after a couple of minutes. He was quickly followed by the impressive Bailey Armitage who started and ended a break from deep for Craigavon’s second. Toby Gribben added the extras to push The High School 12 points clear. 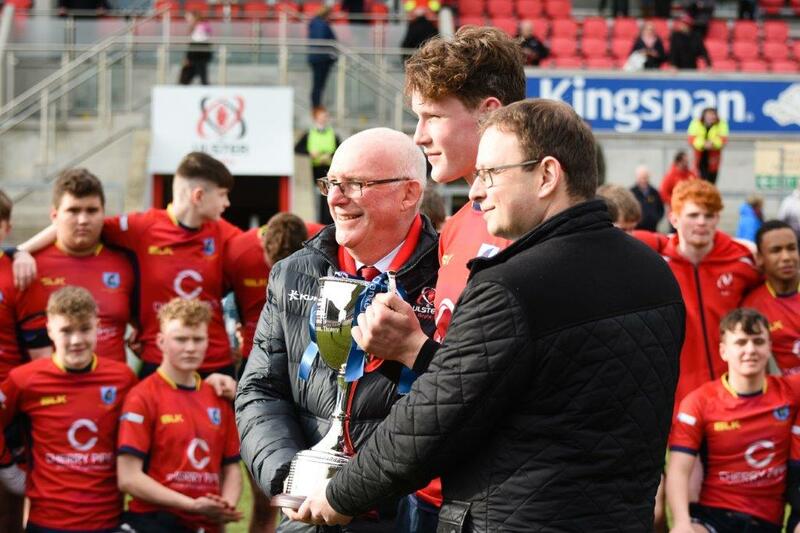 The Craigavon centre pairing of Armitage and Ciaran Petersen wreaked havoc with the Ballyclare defence with Petersen crossing for a brace before Armitage picked up a first half hat trick with two more scores before the break. Gribben added another three conversions to take the score to 30 – 0 as the teams changed ends. Ballyclare worked hard in the second half to stem the flow and enjoyed substantial periods of territory and possession however Craigavon had the clinical edge and Jack Dang and Josh Taylor both crossed for tries seven and eight, Taylor converting the latter to take the score to 50 – 0. A huge effort from Ballyclare at the start of the final quarter finally reaped some reward with Ashley Doherty finding some space on the left after a series of punching drives at the line from his back row colleagues. 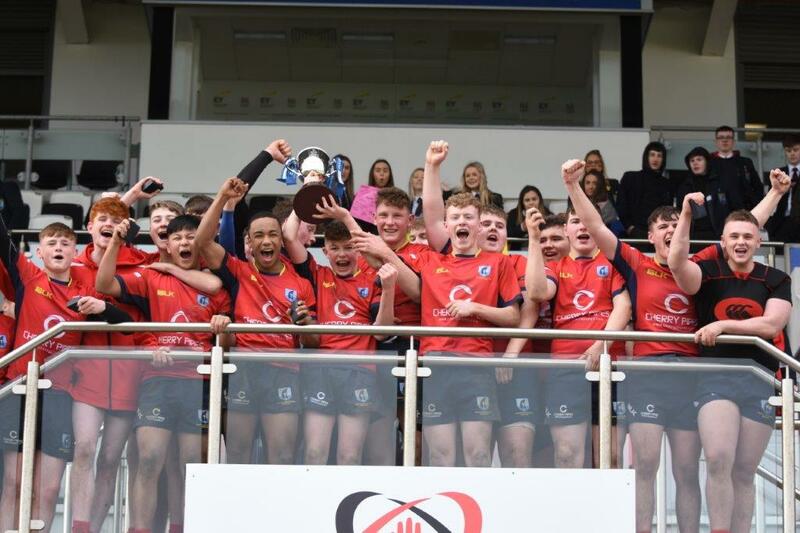 The U16 team are undefeated winning both the Danske Bank High Schools Trophy and the U16 Pollock Cup, this is the first time Craigavon Senior High has won both trophies in a season. Final Score: Craigavon Senior High School 55 Ballyclare Secondary 5. Craigavon Senior High School: Jack Coulter, Toby Gribben, Ciaran Petersen, Bailey Armitage, Joshua Taylor, Jamie Hayes, Matthew Orr, Jay Crozier, Sam Anderson, Joshua Young, Harry White, Jamie Marshall, Jack Dang, Samuel Glasgow, John Glasgow (C). Replacements: Scott McKinney, Stephen Taylor, Alex Morrison, Devon McCarroll, Joel McClatchey, Daniel Harrison, Jay Anderson, Robert White.